To mark one year since the outbreak of the Rohingya refugee crisis, the UN Secretary-General’s Envoy on Youth, Jayathma Wickramanayake, visited the Cox’s Bazar region of Bangladesh to highlight the need for safe spaces for youth, in particular, for young refugees who lack access to basic human rights. Ms. Wickramanayake first visited the Kutupalong Camp, the largest and most densely populated refugee camp on our planet, to meet with a group of young refugees who work as Community Outreach Volunteers supported by the UN High Commissioner for Refugees (UNHCR). Despite the challenges these young refugees face, they were eager to make positive contributions to their community and solve local issues, such as shelter repairs or tree planting. This was followed by a meeting organized by the United Nations Population Fund (UNFPA) with a group of refugees who receive life planning skills training implemented by local NGOs. During this event, the Youth Envoy instigated a drawing competition in which the young refugees drew their favourite safe space, and presented awards to the art winners during the heartwarming ceremony. Supported by UNICEF, the Envoy on Youth next visited an all-girls adolescents’ club, which gathered young women from the camp as well as the host community. In the club, she watched a role play about child marriage and engaged in a candid discussion about the gender-specific challenges these young women experience in their day-to-day lives. Ms. Wickramanayake then met with the Senior Coordinator of the Rohingya refugee response, Heads of UN Sub-Offices, and members of the Compact of Young People in Humanitarian Action, to discuss how humanitarian partners can better address the unique priorities and rights of young people - especially the need for education and skills building training. 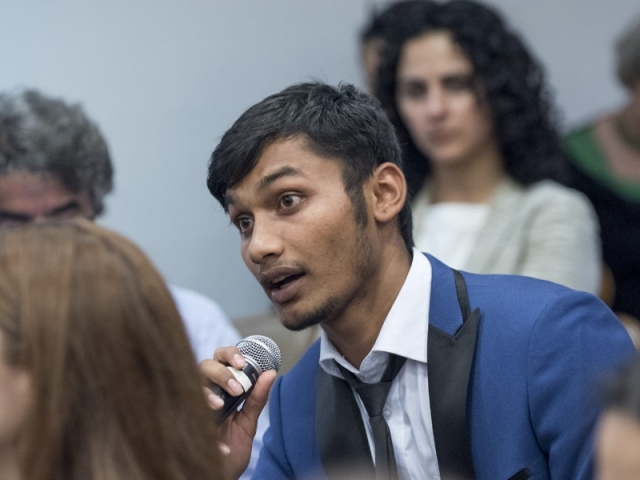 Too often, young people are an overlooked resource in humanitarian assistance, which was a message the Youth Envoy highlighted on World Humanitarian Day. ”Young refugees continue to be marginalized. 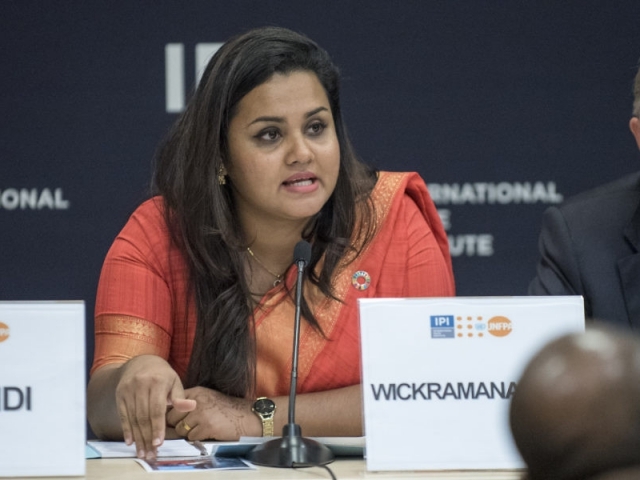 In Cox’s Bazar, only 2000 out of 117,000 young people between 15-17 years have access to education or life skills training,” says Wichramanyake. The report is a testimony to the work of the over 50 humanitarian partners including governments, UN entities, international and local NGOs,and major youth organizations which have joined the Compact. The side event presented the ways in which young people are adapting to and learning from these early efforts, in engaging with each other and serving populations in need. It highlighted good practice examples from Compact members of working with and for young people in humanitarian action and recognized young people as indispensable stakeholders, decision makers, problem-solvers, demographic cohort driving change and resilience strengthening. FInally the meeting welcomed the International rescue Committee as an official new members to the ever growing family of the Compact:. Muzoon Almellahan was forced to flee Syria in 2013, to spend three years in crowded refugee camps in Jordan before being resettled with her family in the British city of Newcastle, where she is now a high school senior taking university preparatory courses. “Leaving Syria, my dad told me I couldn’t bring everything and only to bring the most important things, so I told myself to pack my schoolbooks because I believe in education,” she said. 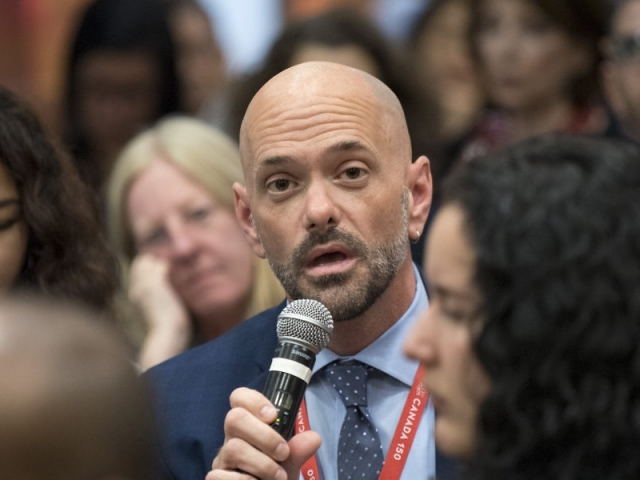 The new global compacts referred to are to be signed next year, to deal with, respectively, commitments to “refugee responsibility-sharing” and “safe, orderly and regular migration,” set in motion by the 2016 adoption of the New York Declaration. The event was designed to provide a platform for young people and their advocates to discuss directly with lead UN and other agencies involved in the consultations and negotiations for the two compacts. Julius Kramer, Youth Adviser to the executive board of the World Organization of the Scout Movement, agreed on the centrality of education in helping migrants to adapt to new lands but spoke too of the “non-formal education” that he and his fellow scouts provide in his native Sweden, the country that leads all others in Europe in the per capita number of migrants it received. And because the average period of exile is 15 to 20 years, he added, young people can end up living their entire youth in exile. “So it’s young people who have the most to lose from an unsupported exile,” he said, signaling education, self-reliance and jobs are the most neglected needs. “We must make sure their needs are adequately reflected,” he said. Tørnǣs used her remarks to make a consequential announcement, declaring that Denmark will formally join the Compact for Young People in Humanitarian Action, joining over 50 member organizations who have endorsed the Compact thus far. Making opening remarks were Benoit Kalasa, Director of the Technical Division of UNFPA, and IPI President Terje Rød–Larsen, who also moderated the discussion.